Monday, 5th March 2018 at the Annual General Meeting in Teulada. Desks open 9:30-10:30 a.m. If you are not able to attend either of the above meetings, then you can give your membership cards and subscriptions to a friend who will be able to renew on your behalf. In accordance with the terms of the Constitution, If you have not renewed by 10:30 a.m. on Monday 5th March 2018, then your membership will be treated as lapsed. 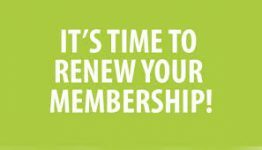 If you do not intend to renew your membership for 2018, please email me so that I can note our records accordingly.